Move over prime rib! A strip loin roast can be the epic center of a family gathering or holiday meal. 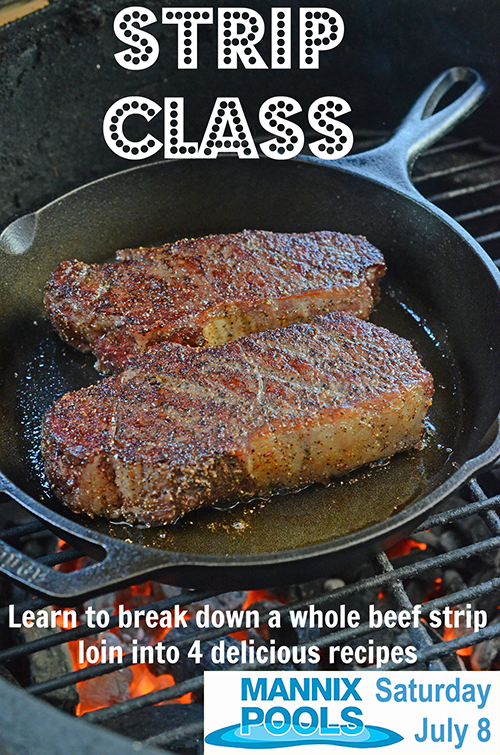 Don’t throw away those scraps when trimming a whole beef strip loin, ribeye, or brisket! Save them and make beef tallow – an excellent clean cooking oil with a relatively high smoke point. A great way to serve smaller portions but still get that thick, juicy steak. One portion of the strip loin isn’t as great for steaks but it is ideal for shaving thin and cooking on a griddle for steak and cheese sandwiches. 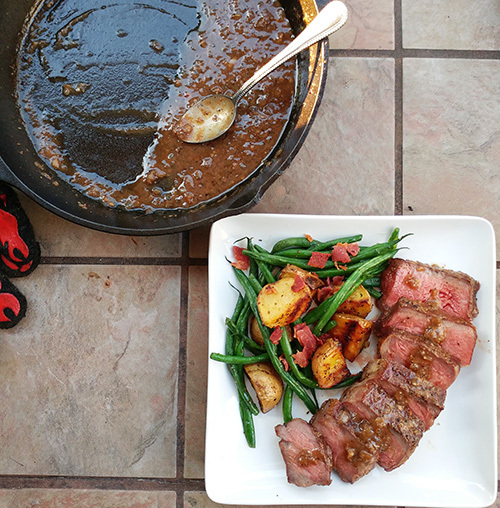 This modified technique gives you the best of reverse sear grilling and pan searing steaks – super tender, perfectly medium rare steak with a gorgeous crust and lip smacking pan sauce. So if you're in the area - come on out to have some fun and enjoy some great food with us on July 8th in Winter Haven, FL at Mannix Pools and Grills. Don't forget to get your tickets! !